ENTER BELOW FOR YOUR CHANCE TO WIN 4 OPENING NIGHT TICKETS! Enter through midnight 12/15/18. Tickets good for opening night on 12/21/18. 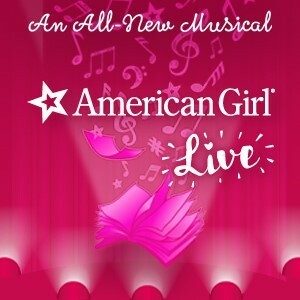 American Girl Live, an all-new musical inspired by the popular characters from American Girl® owned by Mattel, Inc., will celebrate its world premiere at The North Shore Center for the Performing Arts in Skokie (9501 Skokie Blvd. ), Dec. 21-23, 2018. 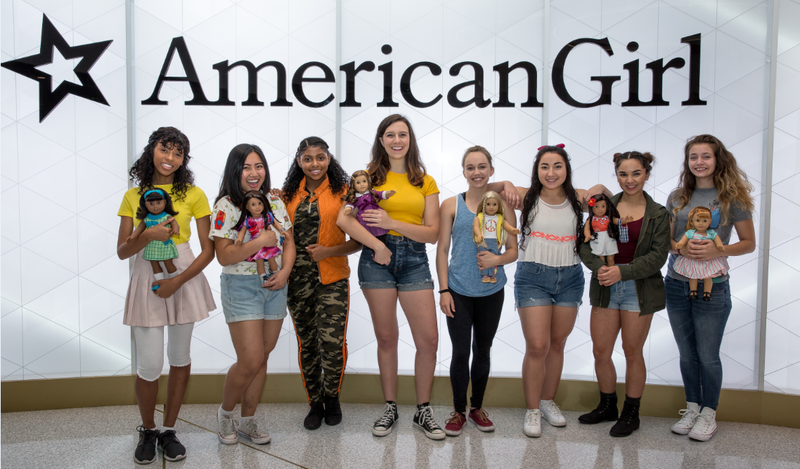 The cast of American Girl Live includes Jenna Bruce as Rebecca, Ashley Diane as Luciana, Laila E. Drew as Melody, Shelby Lysette Miguel as Nanea, Monica Potson as Julie and Kelsey Elaine Pressnall as Maryellen. The cast also features Orisa Gutierrez and Mari Skoultchi. For tickets and more information, please visit, NorthShoreCenter.org or call 847-673-6300. 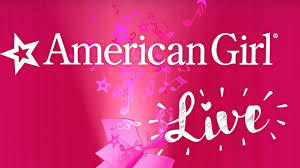 American Girl Live will feature all-original songs and an unforgettable experience for fans of American Girl as they witness some of their favorite characters come to life. Audiences will join a group of girls at sleepover camp for an exciting summer away from home. When each camper is faced with a new challenge or experience, she comes to better understand the timeless lessons of her favorite American Girl character. The messages shared provide positive examples of friendship, courage and hope that will extend beyond the performance and into the hearts of the audience. American Girl Live will perform at The North Shore Center for the Performing Arts in Skokie (9501 Skokie Blvd.) on Friday, Dec. 21 at 7 p.m., Saturday, Dec. 22 at 1 p.m. and 5 p.m. and Sunday, Dec. 23 at 1 p.m. Tickets range in price from $37 - $47 and are available now. Special VIP packages featuring a pre-show party and post-show photo opportunity with the cast are also available. Please visit, NorthShoreCenter.org or call 847-673-6300 for tickets or more information. The North Shore Center for the Performing Arts in Skokie is a dynamic two-theater complex designed by Boston architect Graham Gund and opened in November 1996. The North Shore Center is managed by Professional Facilities Management, Inc. and operates as part of the Village of Skokie’s plan to provide cultural, literary and educational programs to benefit the citizens of Skokie and Chicago’s North Shore. The facility features an 867-seat main theater, and a convertible 318-seat theater, which serves as the home to Northlight Theatre. In addition, there is a 6,000-square-foot grand lobby, rehearsal hall and conference rooms. The North Shore Center presents a Feature Series and the curriculum-based Youtheatre program, which has provided supplemental arts education to over a million Chicago area students since its launch in 1980. Located 30 minutes from Chicago’s Loop and conveniently across from Westfield Old Orchard Mall, the Center is in close proximity to many excellent dining, shopping and hotel options. Free parking is also abundantly available. For more information or tickets to its diverse programming, please visit NorthShoreCenter.org. Giveaway Details: Enter through midnight 12/15/18. Tickets good for opening night on 12/21/18. Disclosure: It's our great pleasure at ChiIL Mama to partner up with lots of local theaters, restaurants, live concert venues and more, to offer great giveaways for our readers. Thanks to all the theaters mentioned here for offering us complimentary tickets for review purposes and for our giveaways. As always, all opinions are my own.